Team formerly known as Sauber is changing name to Alfa Romeo. Alfa Romeo won first two F1 championships 1950 and 1951 with Farina and Fangio. Alfa Romeo last competed in F1 1985 (1987 as engine provider). With Antonio Giovinazzi now, the team continues tradition of having at least one Italian driver every season they've competed in F1 (the other this year of course being Kimi Räikkönen). Former Force India is currently working under name "Racing Point F1 Team", but that may change before season start halfway March. (1) Mercedes is still the team to beat. (2) Everyone else: come to IndyCar; at least you will have a chance to win a race....just ask Marcus Ericsson, who will drive for Arrow-SPM Racing this year alongside James Hinchcliffe. 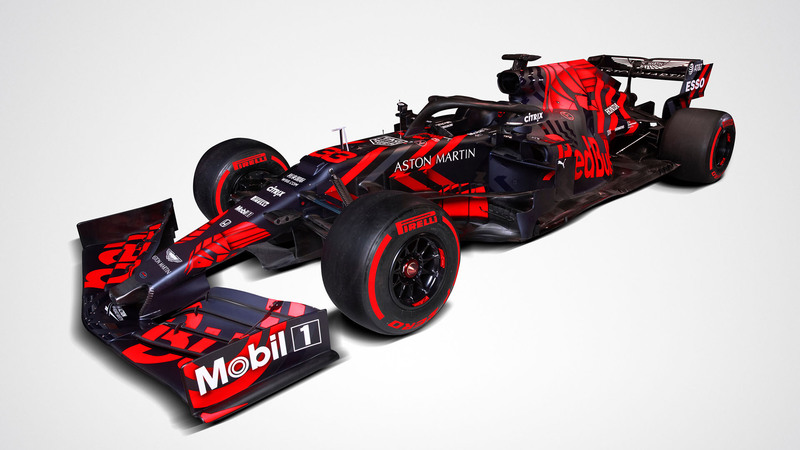 What do people make of the liveries? I'm not too happy about Haas copying classic Lotus. First week of winter tests didn't really reveal much, except that Williams is in severe trouble and likely to continue at the bottom - and Racing Point (or whatever their final name is) may be keeping them company. Test are over and... we're none the wiser. Mercedes and Ferrari are still on top and perhaps even more clearly than last year. And as I said, Williams and Racing Point are at the bottom. But everyone else are wild cards. With Honda engines, Red Bull may not be the #3 team anymore. Renault is pushing hard, Alfa Romeo has resources Sauber hasn't seen since it was BMW and I can't even guess how Haas, McLaren or Toro Rosso turn out this season. Mercedes and Ferrari are still on top and perhaps even more clearly than last year. Somebody unstick the last year topic and put this up instead, please. Now we've seen the first practices and... difference of Mercedes to next team is bigger than between 8 next (Williams being far behind). Generally good news for Finland, Vallteri getting a duel with Lewis and Kimi looking better than expected so far. That's an awesome start for Finns (even if Kimi's 8th is slightly dimmed by the fact that Leclerc was 7th in last Sauber races). Not an F1 post per se' but I just realized that when IndyCar goes to COTA this weekend for their IndyCar Classic, it'll be the first time since 2006 at Montreal's Circuit Gillies Villeneuve that both top-level open-wheel series have raced at the same venue in a calendar year.